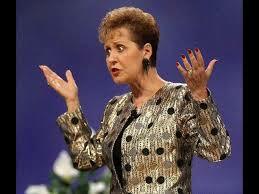 Since I have been asked about Joyce Meyer so often I find it necessary to comment on her teaching. She is known as being one of the top women speakers, one who tells it like it is with a frank but challenging way of putting things. She is an enigma, in that she has some very good practical information from experience and the Scripture. So there are good portions in her teaching and there are also some bad interpretations and experiences from her teachings; that are to be avoided. Meyer may not be completely engulfed in word faith teaching but she is yoked with many word faith teachers (in fellowship with Creflo Dollar, and Kenneth Copeland.Copeland’s magazine, The Believer’s Voice of Victory, has carried some of her articles) and her writings and teachings have certainly been influenced by their word faith prosperity theology. In her broadcast the first week of January 2005 she interviewed a man giving testimony to Kenneth Hagin who is known for spreading the word/faith heresy to his disciples. At 60 years of age she has become a very popular speaker. 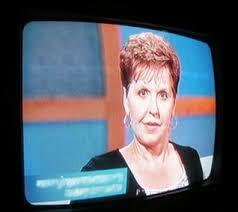 She certainly is one of the well-known and best-paid TV preachers (especially for women). Her ministry revenues have steadily increased from 1998 where they took in 40 million, to 1999 they brought in 55 million, to 2000 70 million, to 2001 near 80 million, to 2002 near 90 million. Today her Life in the Word organization estimates to take in $95 million this year. The ministry says it spends about 10 percent – $880,000 a month – on charitable works around the globe. “I don’t want to spend my whole life talking about the promised land without ever getting there. I want to live in it ”(Joyce Meyer, “What Does Your Future Hold” May 21, 2004). According to her own message and theology this means accumulating wealth and living the good life now. So we can see Meyer is living her word/faith prosperity teaching though she may not blatantly teach it. If one listens carefully they will hear sprinkles and chunks of it, and sometimes get a whole meal of it. If Eve was not told to not eat of “that tree” how did she tell the serpent: “We may eat the fruit of the trees of the garden; “but of the fruit of the tree which is in the midst of the garden, God has said, ‘You shall not eat it, nor shall you touch it, lest you die.’“(Gen 3:2-3). This is like the ABC’s in teaching what took place in Genesis. The Bible explains that Eve knew she shouldn’t eat from the Tree of the Knowledge of Good and Evil. Paul writes, “Let the woman learn in silence with all subjection. But I suffer not a woman to teach, nor to usurp authority over the man, but to be in silence. For Adam was first formed, then Eve. And Adam was not deceived, but the woman being deceived was in the transgression” (1 Timothy 2:11-14). Of course one can be righteous and be a sinner at the same time, because it is not our righteousness but Christ’s that we are given. John refutes the error that we have no sin nature, by using the word sin in the singular. It is not just the committal of sin but the principle of sin, he is referring to sin of every description. If we are sinless then there is no need to ever confess sins, that is something to seriously think of as a worldview. To those who profess to have become perfectly sanctified, and to live without any sin, John says If we say that we have no sin, and continue to sin we live in self deception, “and the truth is not in us.” This kind of attitude will affect all that we do. Meyer’s claim of not being a sinner any longer is very concerning because she is promoting this as a revelation from Scripture, when it is not. Her doctrine of justification is skewed. Meyer, in her book, writes, “Words are containers for power” (The Name, The Word, The Blood, p. 37). This is typical Copeland/ Hagin faith talk. She has promoted this on her TV broadcast: “Prov.18:21 this could be a life hanging scripture “death and life are in the power of the tongue. And they who indulge in it shall eat the fruit of it for death or life.” The ad following for her audio series “Is your mouth saved.” The advertise says we all have the ability to speak life or death to not only other people but to ourselves as well. “Will help you to take inventory of what you’ve been saying and begin speaking faith filled words that will bring to pass God’s good plan for your life” (May 14, 2000 LeSea broadcasting) . “But you cannot throw out positive confession, and you cannot throw out all the faith teachers, and you cannot throw out positive thinking. And you cannot get rid of those kinds of things because they’re in the Bible from one end of it to the other” (Joyce Meyer, PFO Quarterly Journal, April-June 2002, p. 6. Witchcraft and Related Spirits, pt. 1, sides 1 and 2). By the way we need to know that Kenneth Copeland, Creflo Dollar and Eddie Long believe we are little gods. Bynum thinks she is a prophetess who can pass on the anointing to anything at anytime she chooses. T. D. Jakes does not believe in the Trinity and teaches a mix of pop psychology with Biblical principles. Paula White is a prosperity teacher who has a mixture of various aberrant trendy doctrines. The word faith associations do rub off on Meyer’s teachings, this is why she is comfortable to be speaking with these people. This is a typical word faith teaching- words have to be said out loud to take place, the Bible does not say this- For she said within herself, “If only I may touch His garment, I shall be made well” (Matt. 9:21). Jesus says her faith made her well, NOT her words. She has no qualms about her word faith teaching that is rooted in mind sciences/ new thought. She defends it -“But you cannot throw out positive confession, and you cannot throw out all the faith teachers, and you cannot throw out positive thinking. And you cannot get rid of those kinds of things because they’re in the Bible from one end of it to the other” (source-Joyce Meyer, PFO Quarterly Journal, April-June 2002, p. 6. Witchcraft and Related Spirits, pt. 1, sides 1 and 2). “The faith movement is right. You can’t throw the faith movement out the window” (source- Joyce Meyer, PFO Quarterly Journal, April-June 2002, p. 14. Witchcraft and Related Spirits, pt. 1, sides 1 and 2). Despite the concept of speaking words to be in control, there have been many who have overcome some very unhealthy lives fromwhere they came from even with negative words spoken about them. Our mouth is not in control, God is. Her appeal to money to be given to her ministry is from the prosperity teaching that originated with Oral Roberts. “Sowing and reaping is a spiritual law…Sow generously and you will reap generously” (Joyce Meyer, “What Does Your Future Hold” May 21, 2004). Joyce says if you bring the tithe I will rebuke the devourer… Don’t be need minded, be seed minded” Mimicking Mike Murdock whose teaching is made of cliché’ she repeats “Remember whatever you are willing to do for God, God is willing to do for you” (week of Sept.20-26, 2005 LeSea broadcasting). She says “I‘ve got to keep the anointing on my life. I can’t keep it on my life unless I’m a giver” (May 14, 2000) (insinuating money keeps the Holy Spirits power). Clearly this is a word faith view. Jesus said he would never leave nor forsake us, poor or rich, giving or not. She also has some interesting views on warfare as she has adopted the new trends that are not found in Scripture. “Several years ago I found myself completely worn out from trying to fight the devil. I learned many ‘methods’ of spiritual warfare; however, they did not seem to be working … I had fallen into the trap that many Christians fall into. I had the right teaching, but the wrong order … I was feverishly applying methods I had learned – like fasting and prayer … rebuking and resisting evil spirits … empty formulas which wear us out and produce no results except maybe a sore throat” (The Word, The Name, The Blood, pp. 28, 32, 33 reference PFO article January-March 1996). Pain is an indicator of something wrong in the body, it is a God given sign. Jesus made it clear that not all sickness or pain are from unclean spirits, some were – some were not. This is wrong use of the blood of Christ. Jesus is our high priest who already applied the blood to our lives when we believe in faith on his Atonement that took place nearly 2,000 years ago. (Eph.1:7; Col. 1:14) We cannot apply the blood over anything. We do not handle the blood, our high priest Jesus does. It is applied to those who are recipients of salvation (Heb.10:19-22). His blood was applied only to those who have faith in the atonement of Christ for their SIN, not anything a. It has to do with our forgiveness and cleansing of sin and a guilty conscience, not to fight demons. (for more on pleading the blood). We do not see any example of Christian’s pleading the blood against demons in the Scripture. This is strictly a modern Charismatic tradition that was not taught by the apostles who gave the teachings to the church. Where does the Bible say this? this is her adding to the word of God where she should be silent in awe of Jesus’ holiness. The similarity of Meyer’s teaching to Copeland’s, Hagins and other word faith teachers heresy are not coincidence. This is clearly word faith false theology. Jesus did not need to be born again he’s God! Only sinners need to be born again. While the Bible teaches Jesus descended into Hades (not hell) He DID NOT pay the price there. (see Eph.2:14-15) This is another gospel because Jesus descended victoriously, there was nothing else to pay- He said it is finished. If it is not finished then the cross is insufficient and Paul saying he made known nothing else but the crucified savior as his message is wrong. She has the gospel wrong- it’s Jesus taking your place on the cross not in hell. Either Jesus’ work was finished on the cross or he has lied and should have correctly stated “it is almost finished,” then only after he was raised could He say “it is finished, ” not before. But he does not say this after he raised from the dead but before he dies. We need to consider the weight of this teaching from Meyer. If Jesus finished His work of salvation in hell and not on the cross then we have a different gospel presented than what’s in the Bible. Who should we believe? When we take communion it is pointing to the work of our salvation paid at the cross. He makes it clear by saying this is my body broken for you and my blood shed. To make matters worse she strangely echoes Kenneth Copeland’s view “…All the hosts of hell was [sic] upon Him. Upon Him. They got on Him. They got Him down in the floor and got on Him. And they were laughing and mocking.” “Sunday morning, here comes the Son. Sunday morning, God gets Himself together. Ho, hoooo. Justice has been met, somehow the thing’s been taken care of. And ol’ God gets His voice together and He hollers out three words and they go roaring through the universe and entering the gates of hell. He said, ‘It is enough! It is enough!” (audio tape, From the Cross to the Throne, sermon recorded at Life Christian Center in Saint Louis, Mo.] reference1999 – Personal Freedom Outreach). “It amazes me, and not only does it amaze me, it aggravates me. These people who think they’ve got a ministry of exposing what’s wrong with everybody else…Why is it that people think that it’s their call to go around and find out what’s wrong with everybody else and print it? Do you know when people were try to stop Jesus, finally some very wise man said, ‘Why don’t you just leave us alone? If it’s of God, you’re not gonna stop it. And if it’s not God, it won’t last too long anyway.’ Hallelujah! I mean, that’s just the way I feel about it” (Like a Mighty Wind, Joyce Meyer). Her reference is to Gamaliel who was not a believer and was not wise. Let me answer her statement by saying that some people do ask questions about what they hear and we have every right to examine ones teachings that are spoken publicly to see if they are right or wrong. The apostle Paul commended the Berean’s for questioning what he spoke to them. Is Meyer above the apostles? Its not that ministries are looking for what is wrong with everybody else but they are trying to watch for the brethren who are babes in Christ and those who are naive and don’t know any better, especially in this time of deception. Let me put this another way, what is with these teachers that think they can say ANYTHING they want publicly and not allow anyone to examine whether it is correct or not. Who are they to tell people to disobey the freedom they have in Christ? If she spoke what is right (such as on the atonement and word faith teachings) there would be nothing she needs to be concerned about. However, her using Gamaliel’s argument shows how non-biblical her source for validation is. Gamaliel did not make up his own mind on following Jesus as the Messiah. Gamaliel was a Pharisee, he was not saved nor was this Godly wisdom; for God tells us to test all things not let them be and run their course. Joyce should know this. But maybe she doesn’t want to know this because of what she already believes.